When homeowners decide to remodel their homes, many don’t go the whole-home remodeling route. Typically, they settle for basement remodeling or home theater installations where space is available. 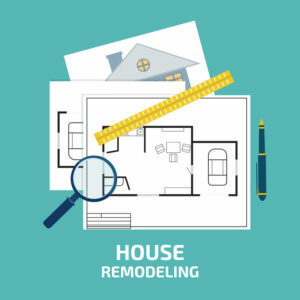 However, a surprising 35% of remodeling projects actually do involve the whole home. And when it comes to whole-home remodeling and renovations, you need to keep a few things in mind. Will You Hire General Contractors? Some homeowners have the skills and tools to do a home remodel themselves. These individuals might not need the assistance of general contractors. However, many homeowners do not have these skills, and thus will need to hire a professional. As this will be a whole-home renovation, it’s very unlikely that you will be doing all of the work yourself, as it requires a hefty amount of skill. Things like plumbing and electrical might be beyond even the most skilled and determined homeowner. Your project will cost you more than you probably want to hear. It’s just the truth when it comes to whole-home remodeling. With that in mind, you need to plan a way to fund the project and determine how much you will be spending. You might have to get a home loan in order to finance the project, and so you will need to begin talking to a bank. What Value Will This Bring You? The average homeowner will sell a home at least once. Not many homeowners wait out their 30-year mortgages to the end anymore, and so you should determine what resale value you can add to your home. Even if you never plan to sell, increasing the value of your home to the maximum possible number with the most efficient budget is a good investment. What About Zoning and Permit Issues? You should think ahead for your projects zoning and permits. Building permits can take a very long time to get approved, and then you have to consider electrical permits and zoning for large-scale projects. Your home renovation might include an addition that requires these legal documents. Think ahead to save yourself a painful wait. If you’re planning a whole-home renovation or remodeling project, consider contacting general contractors. They can help you through the steps to find the best renovation for your budget, and make sure you have all the documentation you need.